About 100 attendees attended the June 13th, 2018 meeting of SoCal Aerospace Council, 70% of which were aerospace companies. 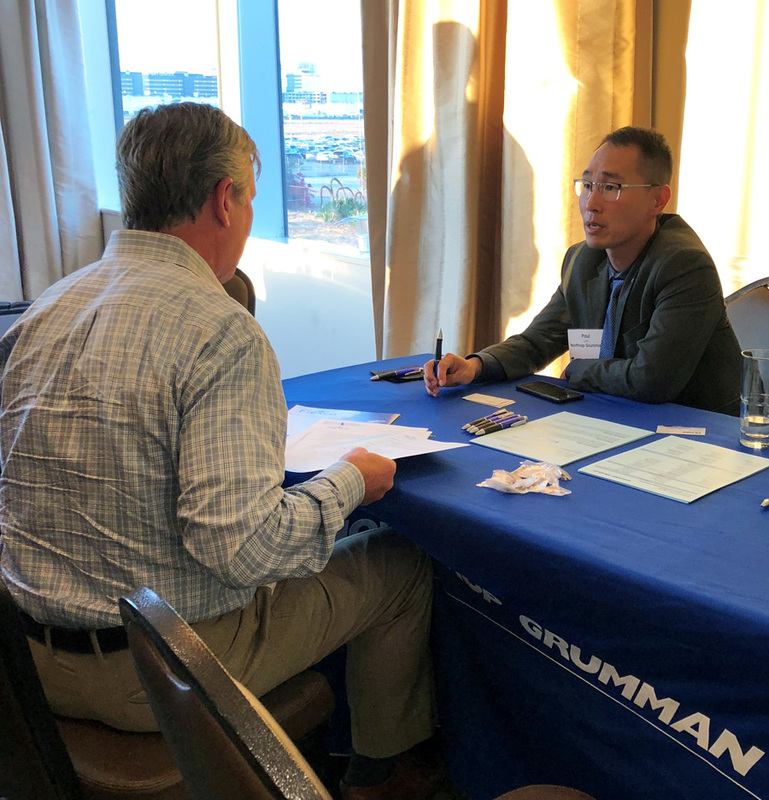 The event featured matchmaking sessions to help identify small businesses that might be a good fit for Northrop Grumman, as it seeks suppliers for its wide ranging aerospace programs. 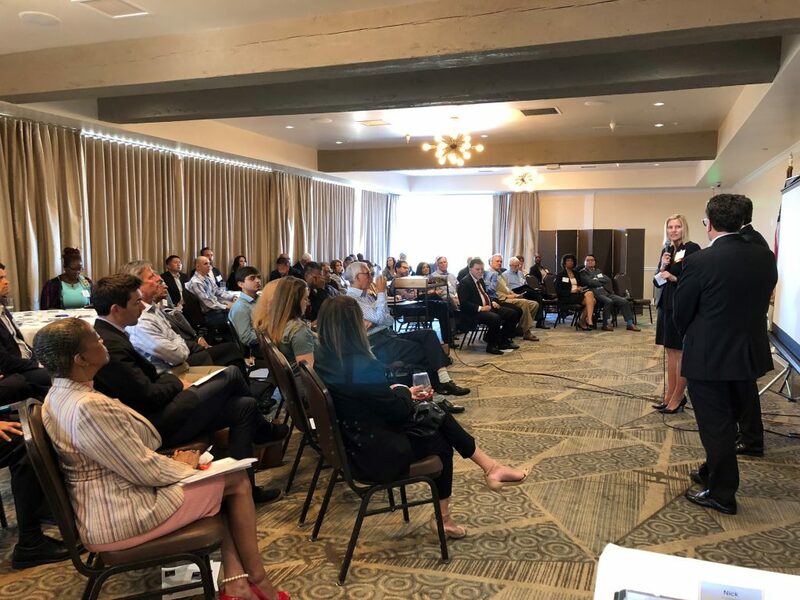 The B2B matchmaking portion of the evening – the latest installment of California SmartMatch — was highly successful, with 12 pre-selected companies meeting with the supply chain management professionals at Northrop Grumman. 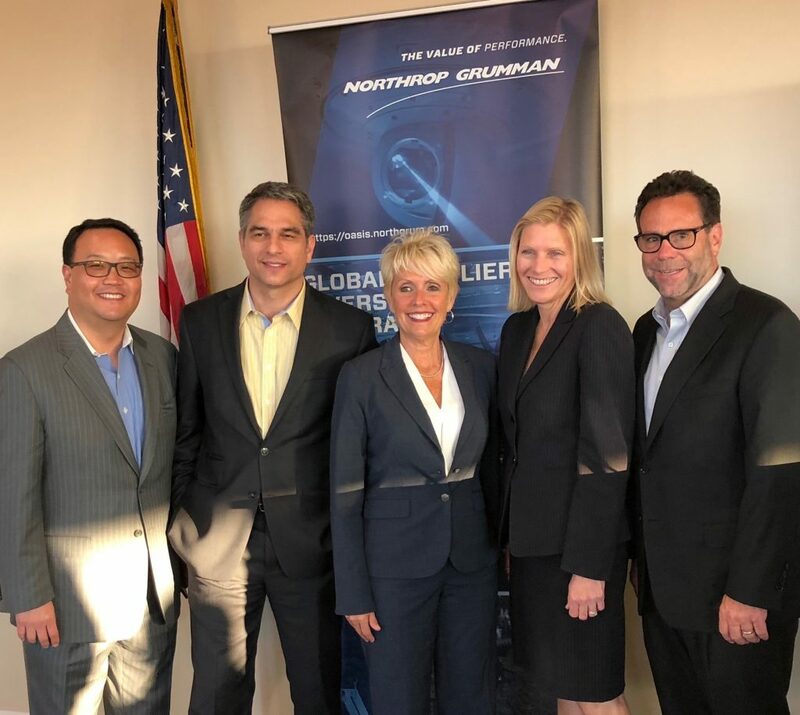 Northrop Grumman, which is an LAEDC member, is a very important element of the SoCal aerospace industry cluster and employs approximately 17,000 people in LA County, as it makes jet aircraft for the US government, satellites, and myriad other high technology space and flight systems. Two speakers from Northrop Grumman Aerospace Systems spoke to the audience, John Murnane and Patti Stone. John Murnane, VP of Global Operations spoke about the US footprint of Northrop Grumman, the systems and platforms the company is designing and producing, and he delved into some of the cutting edge innovation at the company, including the current work on NASA’s James Webb Space Telescope (JWST). Fun Fact: NASA’s JWST will be able to peer so far into the universe using the infrared spectrum that it will be able to see into the past and observe light emitted just after the Big Bang, helping scientists further understand the universe and our place in it. 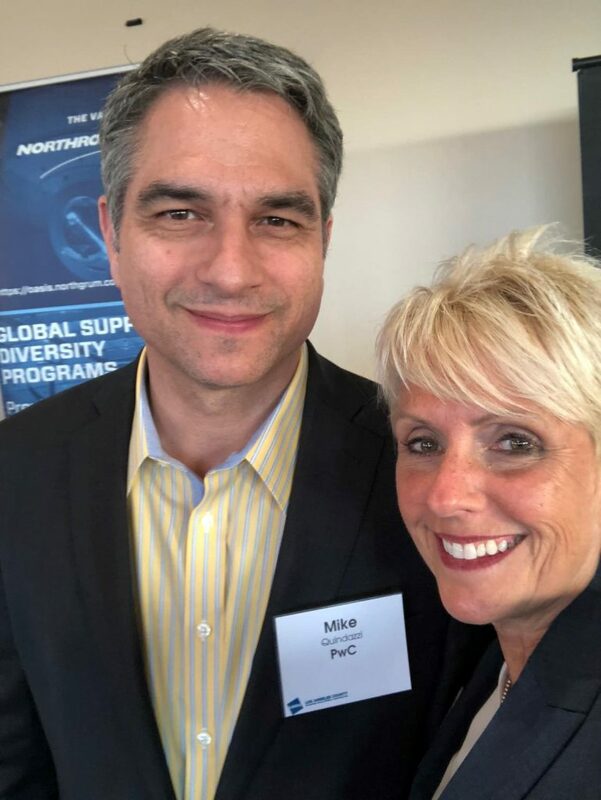 Patti Stone, VP of Supplier Management talked about how to become a supplier to Northrop Grumman and outlined best practices for businesses to market their solutions to Northrop Grumman. LAEDC encourages aerospace industry professionals to join SoCal Aerospace Council and attend the regular meetings of the Council, to collaboratively foster growth of the industry and its jobs. Follow this link to learn more about the objectives of the council and the challenges it tackles.